Dr. Peter DiChristofano and Dr. Robert DiChristofano are partners and brothers, both dedicated to providing quality patient care. Our Norridge dentists are very experienced and devote themselves to the needs of each patient. Dr. Peter DiChristofano graduated from Loyola University College of Dentistry and Dr. Robert DiChristofano graduated from the University of Illinois College of Dentistry. Both doctors have years of experience in dentistry and are participating members of the American Dental Association, Illinois State Dental Society, and the Chicago Dental Society. Drs. Peter and Robert “Bob” DiChristofano established their dental practice with the mission to always take the time to listen to each patient, to fully address each question, and to create a long-term plan to ensure ideal oral health for a lifetime. As a family owned practice, you will receive quality patient care and attention while visiting our practice. Dr. Bob was born and raised in the Chicago area. He grew up in Norridge, Illinois and attended local schools. He earned his B.A. from Augustana College in Rock Island, Illinois. Following college, he attended the University of Illinois College of Dentistry on the west side of Chicago where he earned his D.D.S.. After graduation in 1985, he taught as a Clinical Instructor at the dental school in the Department of Restorative Dentistry for eleven years while he began private practice with his brother Peter. Dr. Bob is passionate about restorative dentistry and helping his patients attain a functional and aesthetic dentition. His focus is to help restore, maintain and preserve his patients’ dentition for their lifetime. 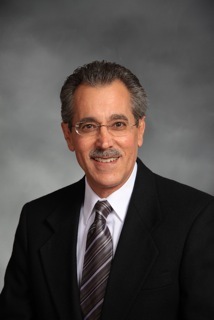 He maintains active membership in the American Dental Association, the Illinois State Dental Society, and the Chicago Dental Society where he serves on a review committee. With the help of his brother and staff, he works hard to live out the meaning of the office mission statement – providing exceptional dental care for his patients with the focus of understanding their needs and devoting himself to their concerns. Dr. Bob and his wife Mary have two children, Alex and Adeline. They enjoy spending time with family and friends. His hobbies include various outdoor activities, gardening, and cooking. Dr. Peter A. DiChristofano was born in Chicago and raised and schooled in Norridge where he graduated from Ridgewood High School. He earned his bachelor’s degree from Augustana College. Dr. Peter then attended Loyola University Dental School for his dental degree. He attended postgraduate education in a general practice residency program at Loyola University Medical Center where he received advanced training in the care of the medically compromised patient. 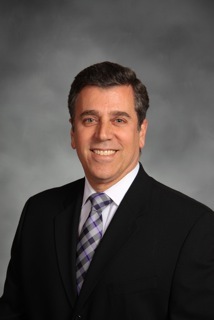 Dr. Peter A. DiChristofano is a member of the American Dental Association and the Illinois Dental Society. As a member of the Chicago Dental Society, he has participated in committee and volunteer services. Joining efforts with his brother, Robert, they established a general dental practice in 1986. Their practice provides personalized, high quality dental health care with emphasis on respect and compassion for all of their patients.